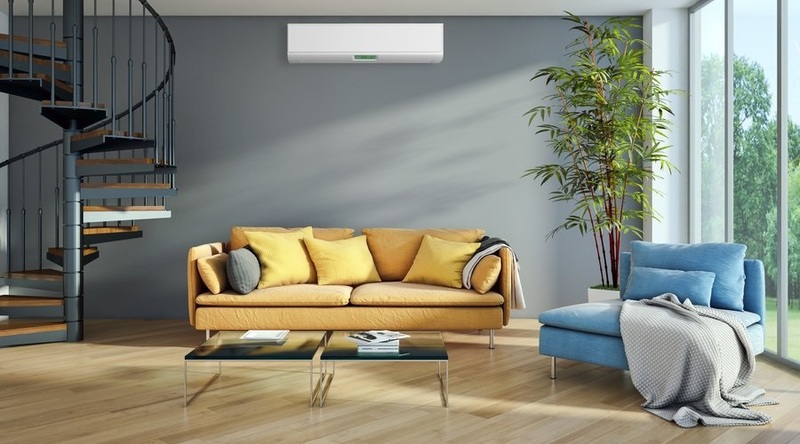 Mitsubishi-Electric high wall mounted heat pumps are the most popular heat pump Kiwis have chosen for their homes and commercial premises. Designed for performance, these high wall mounted heat pumps are unique in that they require zero floor space, they keep your room at a comfortable temperature all year round, and they deliver heating and cooling solutions to your residential or commercial space with ease. All our high wall mounted heat pumps are operated with a hand-held remote controller giving you access to instant heat or cool instantly at the touch of a button. All Mitsubishi-Electric products are a result of ongoing research and testing with a view to continual improvement of the vital performance characteristics, the result being, our heat pumps have become more dependable, long lasting, less costly to operate, quieter, easier to install and maintain, and better able to distribute air evenly throughout any kind of interior. This kind of commitment to quality enables our range to consistently win Consumer Awards such as the Canstar Blue Most Satisfied Customers 2014, 2015, 2017, The Readers Digest Most Trusted Heat Pump Brand in 2015, 2017 and the Consumer Top Heat Pump Brand Award 2017. In 2006, Mitsubishi-Electric introduced the quietest heat pump in New Zealand. Even today, no other heat pump is able to outperform the G Series on quietness – that’s a true testament to technology that has stood the test of time. So when you combine this, with highly energy efficient heating, timeless design and the option of Wi-Fi Control – it’s no wonder the G Series is New Zealand’s quietest, best-selling heat pump… ever. We know it can be confusing when making a decision on what heat pump to buy for your home or commercial premises and choosing the right one is key to ensuring your optimum comfort. Every home and space is as individual as the owners who live in them and many factors determine which heat pump size should be installed. This is where we come in. With an accumulation of over 96 years of experience between us, we really do have the right to say… we know a lot about this industry. This is reflected in the high level of knowledge, skill and commitment we bring to every sale and installation. With the addition of award-winning Mitsubishi Electric Wi-Fi Control, you can control and monitor your heat pump from absolutely anywhere via your smartphone, tablet or online account. You can pre-heat or cool a room no matter where you are – on the way home, running late, coming home early, or even when you’re in a different country. With Wi-Fi Control you’ll always arrive home to total comfort regardless of what New Zealand’s unpredictable weather is doing outside! This range gives you maximum efficiency by making your energy go further. Find out more about the GL Super Energy Efficient range here. The models in this range are smaller in size but still superior in performance. Take a look at the Deluxe FH High Wall Heat Pump Series here. This stylish range comes in three different colours to complement your home interiors. Find out more about the Designer High Wall Heat Pump range here. This range is perfectly suited to homes in areas with particularly cold temperatures. Find out more about the HyperCore FH High Wall Heat Pump range here. Choose from three stylish colour and enjoy advanced personalisation features within this range. Find out more about the Black Diamond High Wall Heat Pump range here. Light Commercial Heat Pumps are specifically designed for offices and retail spaces. Find out more about the Light Commercial High Wall Heat Pump range here.